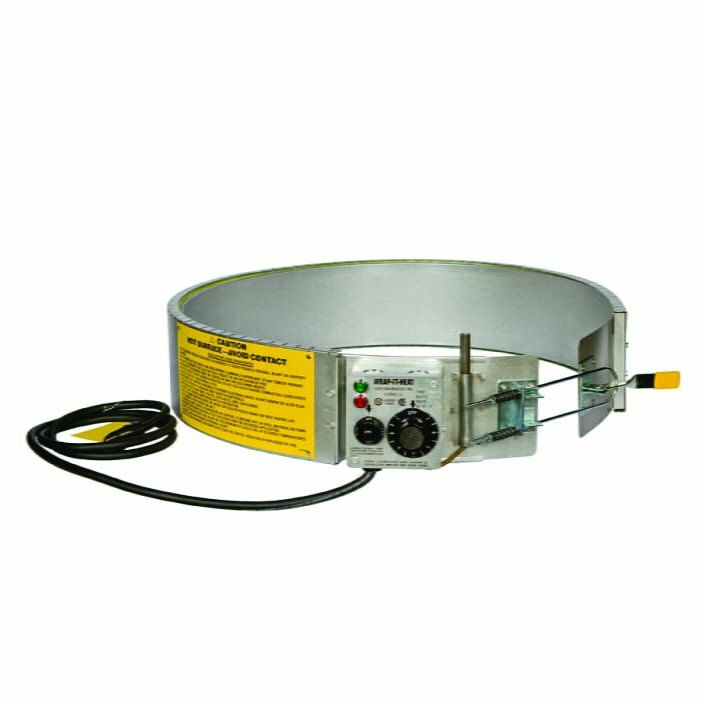 240V 4000W 55 gal OTS stainless steel drum heater with 60-250F thermostat. Usually ships NEXT DAY! Adjustable stainless steel mounting bracket. Passivation, electropolished, or bright annealed surface treatmentsavailable for Stainless Steel or Incoloy sheath designs. 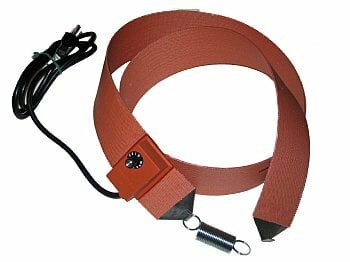 cable, wire braided or plain leadwire. 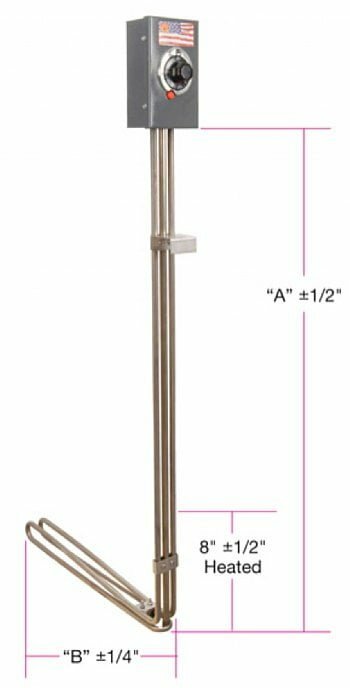 Ensure the vertical heated portion, which extends8” up riser from bottomof element, is always fully immersed. Use in metal drums, containers or heat resistant tanks only. All wiring should be in accordance with NEC/NFPA and local codes. Use techniques safe for the heater and surrounding environment. Use mounting brackets to position heater away from tank wall and abovesludge buildup at bottom of tank. Periodically remove the heater to clean residues and inspect for damage. Warning:Hazard of electric shock. Heater installation must be grounded. Caution:Heater must be disconnected from powerinput before servicing or removal.